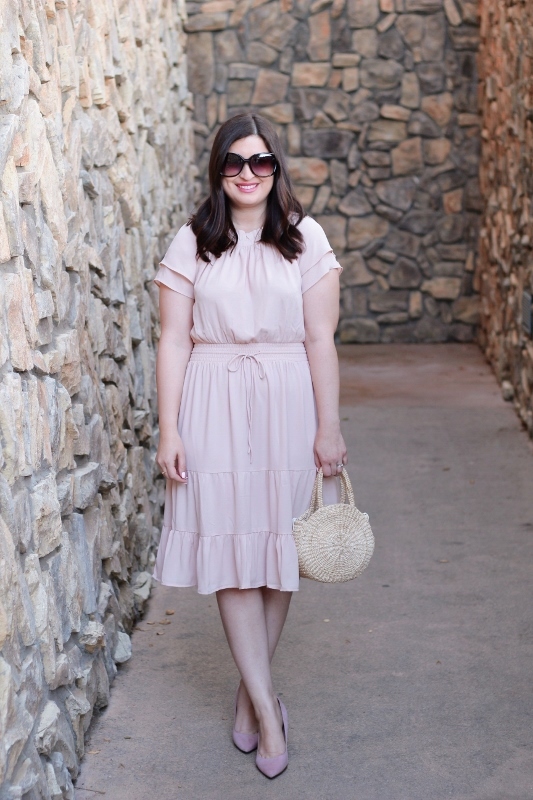 I first saw this Ann Taylor dress on my lovely friend Lilly, and lovely is exactly right in describing how I feel in it. It's one of those "you can't stop me from doing a twirl" types. Even Nate put down the camera here to grab my hand and spin me around (too bad there was no one around to capture the moment, but maybe that's just as well). Beauty // Lips in Glo Skin Beauty "Bloom"
I love a flowy dress, especially one that can transition from day to night, and from formal to casual depending on what shoes and bag you choose. The length is also nice, not quite midi but very close. 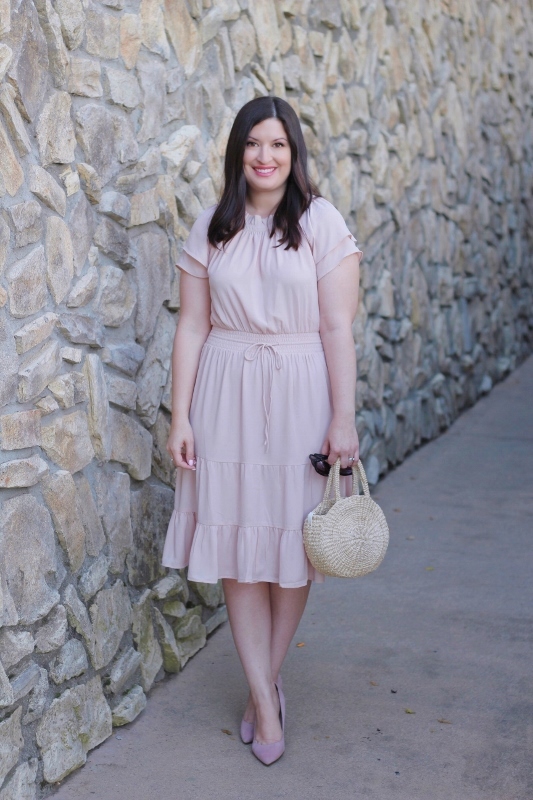 The cinching at the waist and the soft pleated panels give the dress a wonderful romantic vibe that I love in the Spring and Summer. Speaking of romance, did you guys watch the royal wedding? I only saw clips, but they were enough to bring tears to my eyes. I know a lot of people couldn't care less, but Harry and Meghan just seem so genuinely in love that it's hard to turn away from! Plus, I don't know about you, but my mother was infatuated with Princess Diana! This wedding has ignited something in me, and now I can't get enough of reading more about Diana's life. Her legacy in the boys she so loved is incredibly sweet and inspiring, and I'm happy that they are doing well in life after the loss of their mother. This dress is so beautiful and you look stunning <3 Loved the Royal Wedding - and was especially touched at how they left an empty chair for Diana at the church. My husband and I were coincidentally in London at the time William and Kate got married so of course I was interested in this wedding too! Love your pretty pink dress! It's really flattering on you and looks so fun to wear! that dress is so pretty - I love the feeling of wanting to give a twirl! I did watch the wedding, it was very beautiful.